Speed cameras have proven their efficiency in reducing car accidents as well as pedestrian injuries and deaths. 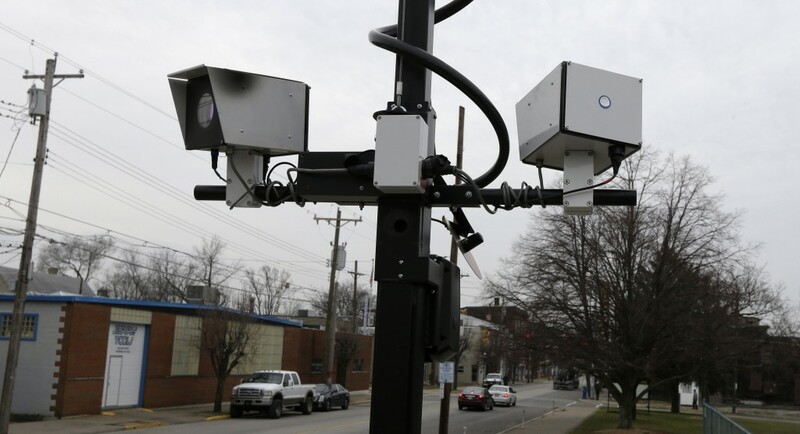 As part of the Vision Zero Program, 140 speed cameras were installed nearby schools all over the city. The installation of the cameras led to a decline of 63% of speeding in school zones and pedestrian injuries decreased by 23%. Based on this successful record the city asked the NY Senate for more cameras but New York State Senators refused to vote on a bill to continue the program and increase the number of cameras in NYC school zones to 290. As a result, all the 140 cameras were shut off in the middle of last summer. A pedestrian was fatally struck by a pick up truck in New York City last Friday around 5 pm. 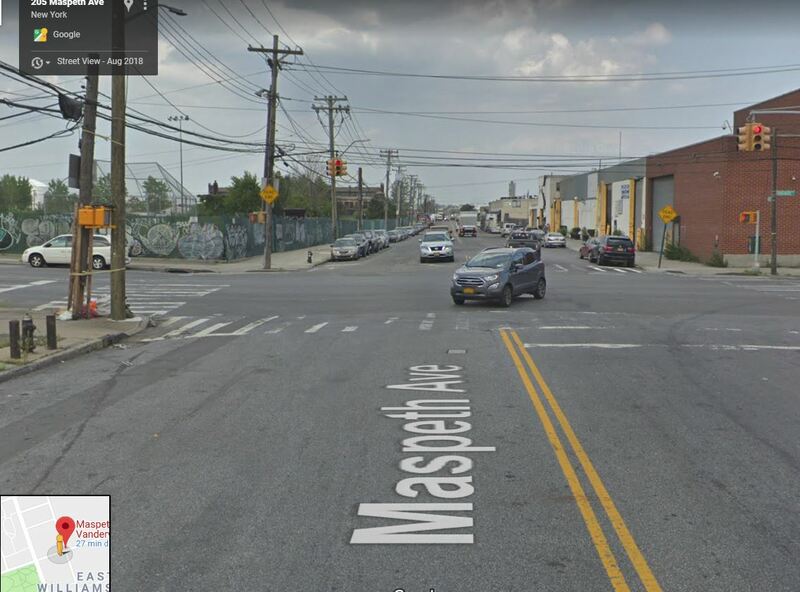 51 year old Jose Rubi was crossing Maspeth Avenue in Bushwick when he was hit by a 46 year old man driving a 2015 Ford pick up. The driver stayed at the scene of the accident and wasn’t charged. According to the police, the driver was attempting to make a left turn onto Vandervoort Ave when he struck Rubi. He told the police that he didn’t see the victim. The police blamed the victim for crossing “mid block”. However it is unclear how the police could determine that the pedestrian was crossing mid-block while the driver testified that that the accident occurred as he was making a left turn at the intersection. After the accident, the pedestrian was rushed to a nearby hospital but he didn’t survive his injuries. 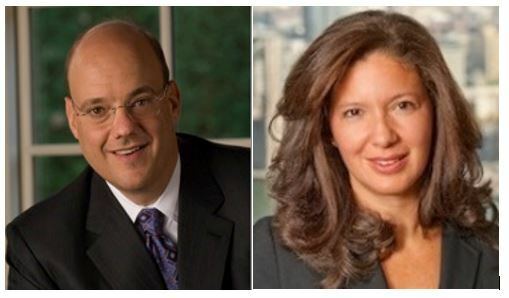 Congratulations to our partners Howard Hershenhorn and Diana M. A. Carnemolla who obtained an $85 million Verdict for a man who was struck by a red double decker sightseeing tour bus owned and operated by Twin America, LLC, Gray Line Corporation, Gray Line New York Tours, Inc. Coach USA, Citysights LLC, Citysights New York LLC, and Calvin C. Wright, while crossing the street. The plaintiff who was 54 years old was ran over by a red double decker sightseeing tour bus on July 3rd, 2015. At the time of the accident, it was a sunny Friday afternoon. 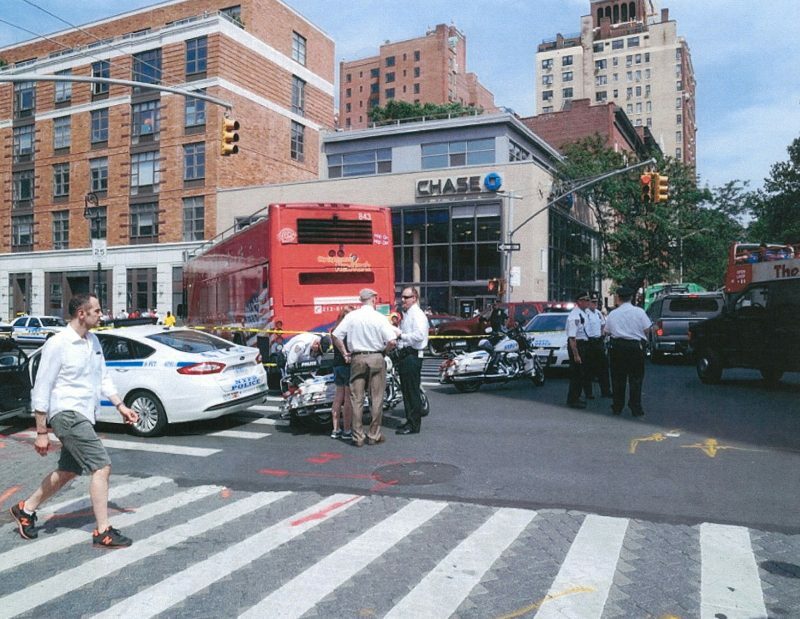 He had the walk signal in his favor when a 13 ton double decker sightseeing tour bus attempted to make a left turn from West 4th street onto 6th avenue striking him. He suffered serious injuries. As a result of the crash he spent 78 days in the hospital, having 9 operations. He also had two additional operations after he was discharged from the hospital. 3 pedestrians died in car accidents in New York this week-end. 65 year old Losif Morgenshteyn was fatally struck by a hit and run driver as he was changing a flat tire on the driver side of his car. The accident occurred on Saturday night around 6:30 pm. on Shore Parkway near East 28th Street in Sheepshead Bay. According to CBS News, the man was hit by a white Toyota minivan with Pennsylvania plates. 3 people came out of the van and checked on the condition of the pedestrian before speeding away. The van was found empty about a mile away and the police are still looking for the driver. When the EMS arrived they gave the man CPR and then rushed him to the hospital. Unfortunately he couldn’t be saved and he was pronounced dead upon his arrival. A pedestrian was killed and six other were injured by a reckless driver on Canal Street in Chinatown, New York last week. A surveillance video of the accident shows 70 year old Henry Herman of Monroe, NY, backing up for at least half a block and then crashing into pedestrians on the busy sidewalk near the intersection of Forsyth and Canal Street. People were in shock as was the driver. He came out of his car, checked on the people he hit and said “My god” according to a witness. It was raining at the time of the accident and it may have affected the driver’s vision. The police believe the driver was accelerating into a parking spot and he might have lost control and jumped the curve. He was arrested and charged with failure to yield to pedestrian and failure to exercise due care. 56 year old Chun Deng Zhang from Queens died in the accident. Two other people were critically injured. Four others suffered non-life threatening injuries. 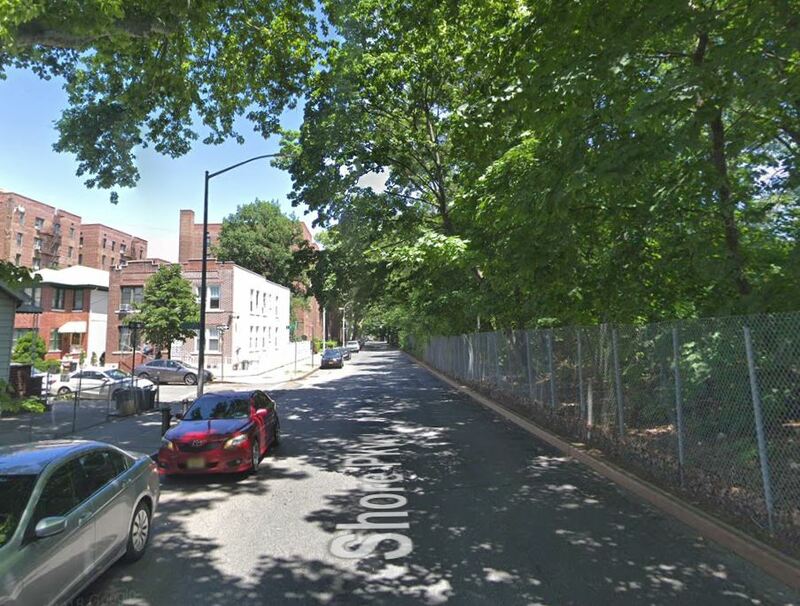 The NYPD announced last week that A NYC pedestrian died from his injuries the day after an accident that occurred in the Bronx on November 7th around 6:30 pm. 52 year old Alvaro Gutierrez was crossing Southern Boulevard at Elsmere Place when he was struck by a minivan. Gutierrez who was hit in the crosswalk, flew in the air and landed on the roadway. He was transported to the hospital where he died the following day. The minivan driver wasn’t charged. 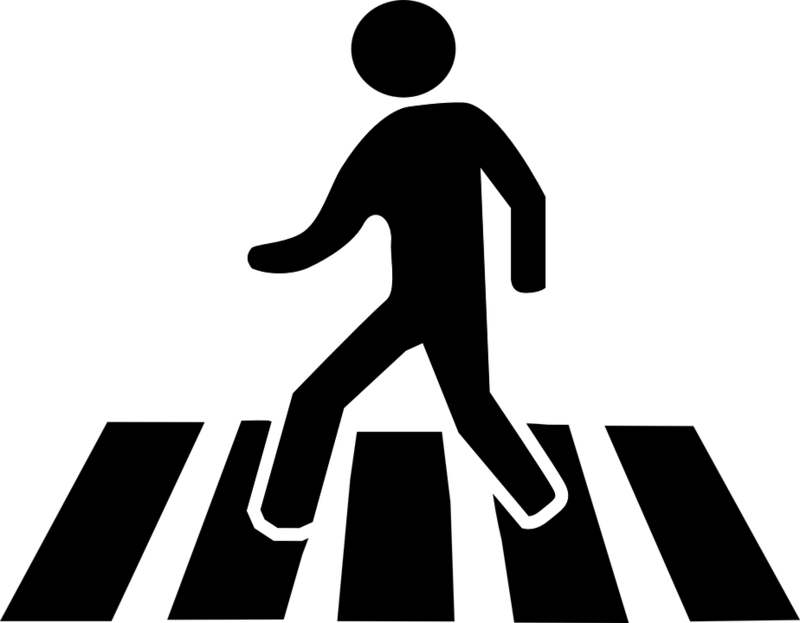 Statistics show that, in New York, after daylight saving time ends, pedestrian accidents increase dramatically, especially during evening hours. The months of November to March are the deadliest for New York pedestrians. 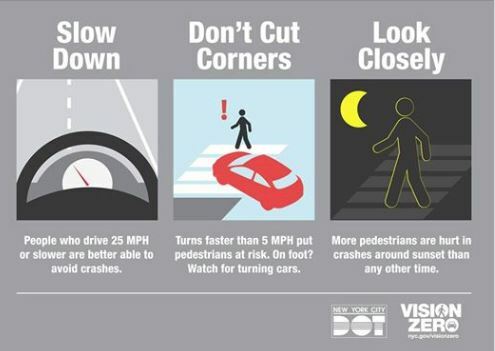 To boost awareness about this situation and encourage drivers to drive safely the city has been deploying its ‘Dusk And Darkness’ Vision Zero Safety Initiative for the third consecutive year. Six NYC pedestrians were killed after being hit by cars in six different accidents in Queens over the last 10 days. 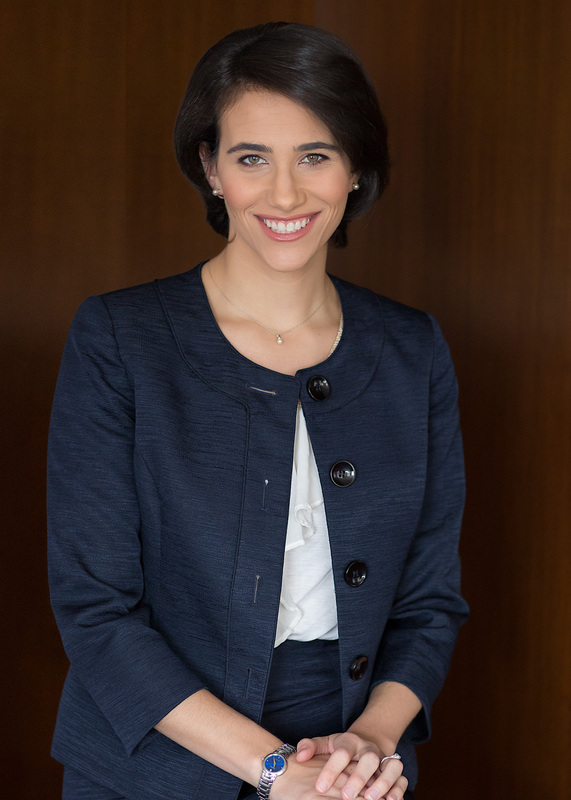 Two of our young NYC personal injury attorneys, Rachel Jacobs and James Rubinowitz, were invited last Monday night to share their skills with the students of the Cardozo Law School’s Intensive Trial Advocacy Program (ITAP). During this two-week immersion program, students are taught cutting-edge strategies for courtroom litigation under the instruction of leading jurists and lawyers from across the country. The program is a cornerstone of Cardozo’s practical skills curriculum. 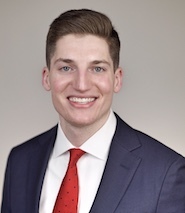 Rachel and James just finished a trial during which they represented the four adult children of a 90 year old pedestrian who was fatally struck by a motor vehicle as she was crossing a street in New York City. They presented to the students of the Intensive Trial Advocacy Program (ITAP) the opening statement and the summation that they gave to the jury at trial. While the number of traffic fatalities is on the rise nationally, in New York, most probably because of the many Vision Zero Initiatives launched over the last five years, traffic fatalities were at their lowest during the third trimester of 2018 compared to the third trimester of the five previous years. The decline in traffic fatalities during the summer of 2018 is due to the decrease in pedestrians and cyclists fatalities while the number of motorist fatalities was at its highest since the beginning of Vision Zero. From July 1st to September 30 2018, 59 people lost their life in NYC auto accidents compare to respectively 65, 61, 60, 76 and 82 during the same period of 2017, 2016, 2015, 2014 and 2013. It is interesting to notice that there are now as many motorists deaths as pedestrian deaths. Pedestrians used to be the category of road users the most at risk of dying in trafic accidents. However according to the most recent statistics drivers now have as much risk as pedestrians of getting killed in a traffic accident in New York City. A record number of 16,300 people were injured in car accidents in New York City during the third trimester of 2018 compared to respectively 15,860, 16,048, 13,998, 13,472 and 14,900 during the third trimester of 2017, 2016, 2015, 2014 and 2013. Not only in New York but all over the US, distracted driving has led to a significant increase in motorist injuries. 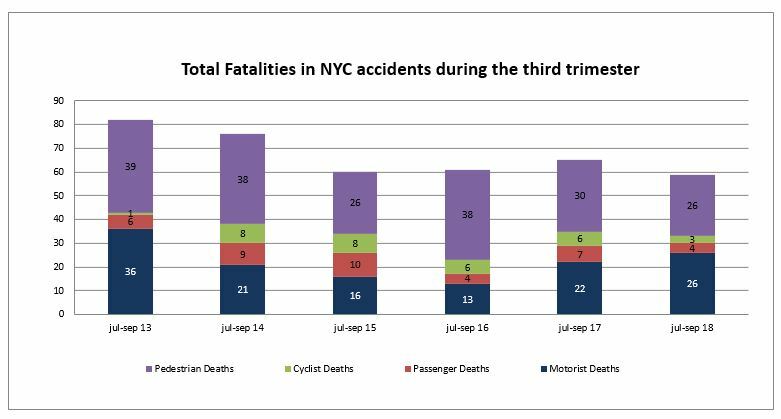 Over the last 3 years and despite Vision Zero intense efforts to make New York City Streets safer, the number of motorists injured in car accidents in New York has been increasing tremendously.